It’s been a busy week for NBC. 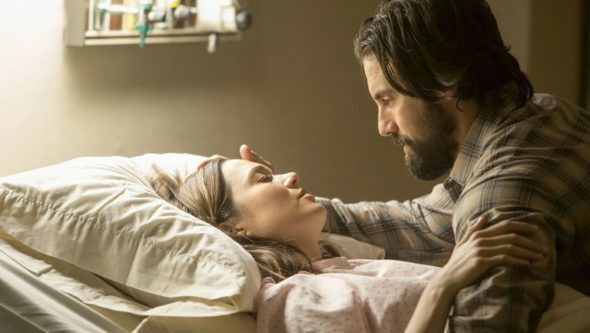 TVLine reports the network has picked up a new series from Dan Fogelman titled This Is Us. Today, we reported NBC has also given a 2016-17 series order to the Tina Fey comedy Great News and the time travel drama Timeless. The cast also includes Justin Hartley, Chrissy Metz, Susan Kelechi Watson, Chris Sullivan, and Ron Cephas Jones. What do you think? Will you give This Is Us a chance? What other new series from NBC interest you? This Is Us: Has the NBC TV Show Been Cancelled or Renewed for Season Two? Won’t watch. Don’t care for the trailer at all. I haven’t watched TV in years except for watching shows on Netflix. This makes me want to watch TV again.